The point of departure of this publication is philosophy – more precisely African philosophy and the question of the possibility of using African languages in philosophical discourse. The book sees Afrophone literatures as a prominent locus of philosophical discourse in African cultures. Thus, it investigates literary works in six African languages (Ndebele, Shona, Lingala, Swahili, Bambara, Yoruba) and reads them with respect to their contribution to philosophy. Aspiring towards an intercultural exchange, the author has tried to bring various literatures and cultures closer to a mutual exchange of ideas. Individual chapters show Swahili writers in dialogue with Western thought, existentialist novels in the Swahili and Shona languages, Ndebele ethnic and cultural identity as portrayed by Ndebele intellectuals and by Shona writers, Ndebele and Bambara historiographies, various approaches to Yoruba, Shona, and Ndebele oral literatures, and analyses of Swahili, Shona, and Lingala imaginative writing. 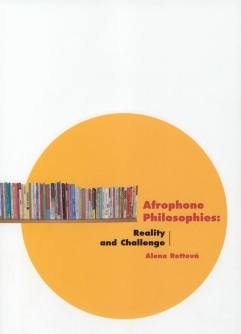 Alena Rettová holds a PhD from Charles University, Prague, and is now Senior Lecturer in Swahili Literature and Culture at the School of Oriental and African Studies, London.